The sixth year of our joint campaign with Marriott hotels raised an all-time high of approximately $292,000. 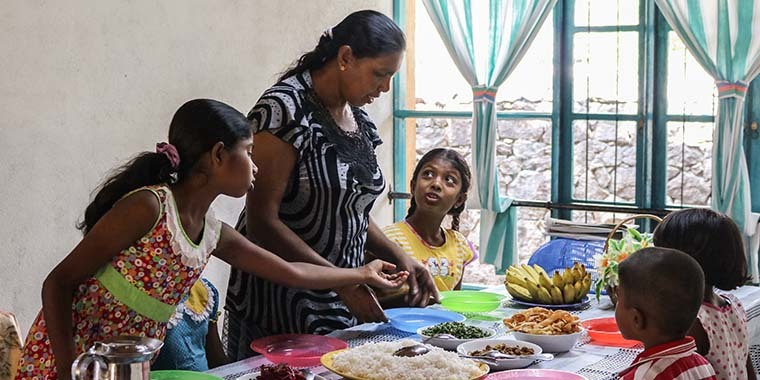 During September and October 2018, for every lunch and dinner sold, nearly 100 Marriott-branded hotels in Europe donated approximately $1 or equivalent to youth programs run by SOS Children’s Villages. A core part of our work at SOS Children’s Villages is to support young people on their journey to self-reliance and finding decent work. Corporate partners such as Marriott help us to achieve this through providing financial support as well as life skills and vocational opportunities for young people. Marriott has a strong commitment to tackle youth unemployment, as shown through the “World of Opportunity” initiative, of which the “You Eat, We Give” campaign is just one part. This ambitious scheme aims to find and nurture the wealth of talent that currently lies untapped in 15-24 year olds throughout Europe. While the “You Eat, We Give” campaign is only six years old, the idea was first sparked a decade ago. In May 2008, a regional campaign called “Jede Spende ein Genuss” [“Every donation is a treat”] ran in Marriott branded hotels in Austria, Germany and Switzerland. This campaign raised $100,000 USD, which was used to establish Café Floritz in the SOS Children’s Village in Vienna, a place where children, families and young people from the area can receive support. Since that first campaign, the idea has grown tremendously. In 2018, the “You Eat, We Give” campaign included nearly 100 hotels across 20 countries in Europe. Dieter Fenz, General Manager of Vienna Marriott Hotel, has been a strong supporter of the partnership since its very beginning. “It has been a rewarding experience to grow the partnership with SOS Children’s Villages, succeeding in contributing not only with financial resources, but also with knowledge and opportunities to the well-being and self-reliance of young people,” he says.